Looking to immerse your LEGO figures in some true culture? Well look no further than sending them to Lisa’s recreation of the Grand Theatre from the town of Du Quoin, Illinois. 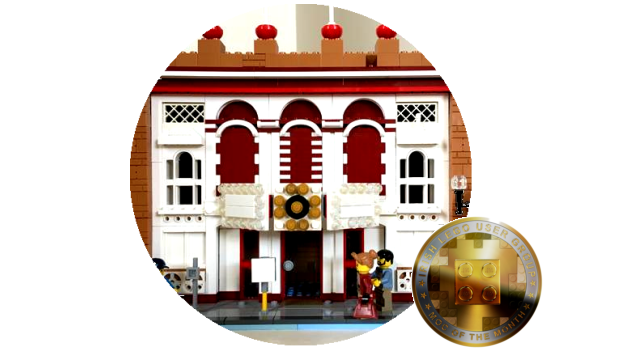 This fantastic Art Deco style build is our September MOC of the Month. We were very impressed with the choice of colour and texture combinations that work well together to give the creation it’s appropriately slightly run-down feel and character. And there’s plenty of little bits to gaze at from the eye-catching marquee and street lighting to the broken crate and boarded up door. Well done Lisa! 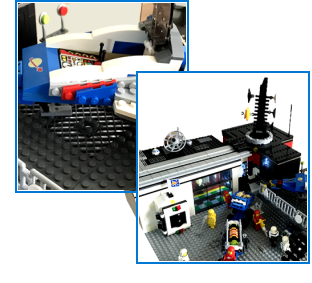 Patrick’s retro Space … build is our runner-up MOC of the Month. There’s plenty of great details in this creation to bring back those 1980s LEGO Space memories and a completed fitted out interior with some special scenes worth checking out. Great stuff all round. This month saw Lisa bag 3 points and Patrick 1.